Tomatoes, peppers, eggplants, onions and a host of other fruits, vegetables and herbs have all been grown by children learning about the benefits of eating healthily, the importance of sustainability and the need to build a healthy nation. The young students all took part in Project Greenhouse, an initiative run by the health campaign Sahtak Awalan: Your Health First, itself a program of Weill Cornell Medicine-Qatar (WCM-Q). As part of the initiative schools received a greenhouse, soil, seeds and growing instructions and were challenged to cultivate the best crop. All greenhouses have now been visited and the winning children with the greenest fingers have been named as the students of Moza Bint Mohammed Independent Elementary School for Girls. Al Khor Independent Preparatory School for Girls came second, and Al Shafallah Center third. Nesreen Al-Rifai, chief communications officer at WCM-Q, praised the children and teachers for their hard work and explained the mission of Project Greenhouse. Mrs Al-Rifai said: “By making health education fun and practical, we can instill good habits at an early age. The children at all the participating schools have been able to try fruit and vegetables that they may not have tasted before, and their pre-conceived ideas about what healthy food tastes like are then challenged. The transformation we have seen in the eating habits of the children has been amazing and the wonderful produce that has been grown in all of the greenhouses demonstrates that this project is a great success. So far we have delivered greenhouses to more than 80 schools and with the invaluable support of our strategic partners, we will expand the program to include every school in Qatar. Project Greenhouse has allowed students to work independently and in small groups and has taught them a whole range of skills. Along with learning about healthy eating, sustainability and horticulture, the project feeds directly into classes about science, the environment and even mathematics; students at the winning school regularly measured their plants to record the growth. Significantly, teachers have said that the children have really enjoyed the project, so they have been broadening their knowledge – as well as their diet – while having fun. Hassan Al-Mohamedi is the Director of Public Relations and the Communications Department at the Ministry of Education and Higher Education, a strategic partner of Sahtak Awalan and Project Greenhouse. Mr Al-Mohamedi said: “Through Project Greenhouse, students all over Qatar are learning extremely valuable lessons about the wonderful health benefits we can gain from eating fresh and healthy fruit and vegetables. This can have a very positive impact on the health of young people in Qatar and protect them from the dangers of developing conditions such obesity and diabetes. Project Greenhouse is now in its third year and is constantly rolling out the program to more schools. Shaikha Al Mansoor, the Principal of Moza Bint Mohammed Independent Elementary School for Girls, said Project Greenhouse had been a great learning experience. Mrs Al Mansoor said the project had also been a success at Moza Bint Mohammed Independent Preparatory School for Girls, of which she is also the principal, where the students and teachers made salads from the crop they grew. Noura Abdulrahman Al Hamady, 10, Moza Bint Mohammed Independent Elementary School for Girls said she had enjoyed the project, particularly planting the seeds in the soil and watering them. Her classmate, Mariam Essa Al Hamady, 9, said she and Noura had grown tomatoes and that she now eats more fruit and vegetables. At a ceremony Noura, Mariam and their classmates received a trophy to commemorate their victory. Students at schools across Qatar harvested bumper crops to take home to eat with their families. Students at schools across Qatar harvested bumper crops to take home to eat with their families. Second and third place winners Al-Khor Independent Primary School For Girls and the Shafallah Center were also honored. 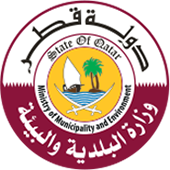 Mohammed Al-Sada, Managing Director of Shafallah Center for Persons with Disabilities (SCPD), a member of the Qatar Foundation for Social Work, stressed the importance of the center’s participation in the innovative Project Greenhouse, and commended the cooperation between SCPD, WCM-Q and its partners. Mr Al-Sada congratulated SCPD’s students for taking third place in their first participation in the competition, and applauded their determination to overcome the challenges of planting seeds and nurturing the young seedlings. He also thanked everyone involved in Project Greenhouse, which helps raise public awareness about health and sustainability, especially amongst school children, and contributes to achieving a healthier society and building new generations that adopt healthy eating habits. Sahtak Awalan: Your Health First was launched in 2012 in association with the Ministry of Public Health and the campaign’s strategic partners, Qatar Foundation, the Ministry of Education and Higher Education, Occidental Petroleum Qatar, Exxonmobil and Qatar Olympic Committee. Its aim is to change attitudes to health and help create a healthy society in line with Qatar National Vision 2030.